Shimmer in the evening in sheer silk wraps with silver sparkles, hot pink or golden. 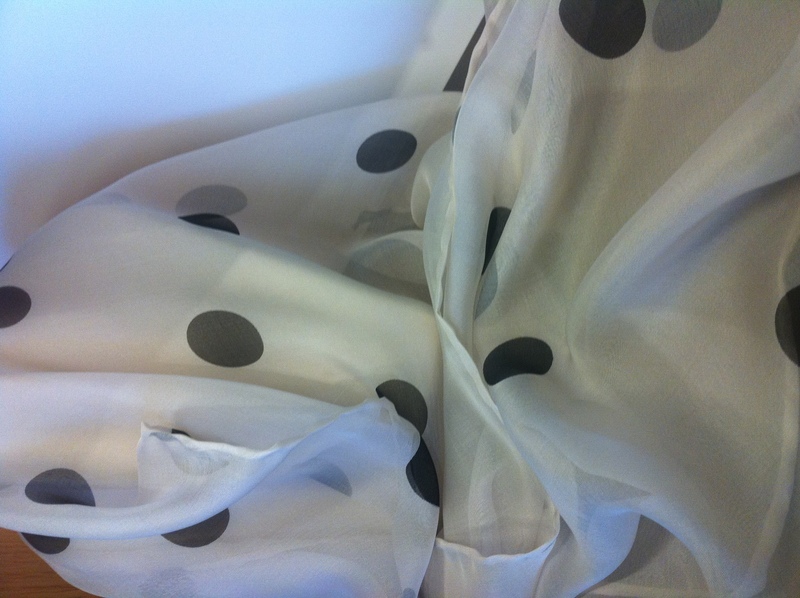 Creamy silk chiffon with polka dots in beige and mocha. Black on white polka dots. Solid Silk Satins in apricot and Itailian Missoni pink & brown grids. Lemon and white silk chiffon–simply elegant and totally feminine.